"Today is an opportunity for you to hear from us, to hear from each other and for WDV to hear from you." This is just what happened. We were thrilled to meet new members and catch up with existing members. We worked together on our Strategic Plan which will guide our work from 2017 to 2019. We discussed what members would like to share with WDV and were thrilled to hear about a diversity of goals, interests and ideas. It was a pleasure to have a presentation from WDV member, Deborah Haygarth, on the Barwon Leadership Network. This network grew as an idea of the Barwon Enabling Women Graduates who wanted to continue to build community and build local advocacy strength. The network has welcomed other women and continues to grow. Women meet regularly to share lunch, meet a guest speaker and to grow local advocacy opportunities. The Network has a blossoming calendar of regular events too. Deb (pictured above) said, "We will join Reclaim the Night Rallies every year to make women with disabilities out and visible. We are planning an access to justice event in the Month of Action on Violence Against Women with guest speakers from Women's and Justice services." You can contact the Barwon network Facebook Group or contact them via email. Thanks to all those who came and made it a great day. We warmly welcome members to future events and look forward to working together to build our rights. IMAGE: WDV members together for our Members' Lunch. The Enabling Women Program had media coverage from the Border Mail and the Wangaratta Chronicle following the graduation of wonderful women with disabilities. Nella Messina, pictured below, told the Border Mail she had gained the confidence and strategies from the program to start a craft group. IMAGE from the Boarder Mail of Nella Messina and Pauline Vonarx, both from Wangaratta, graduating from the Enabling Women program. Picture by MARK JESSER. Star Weekly reported that social justice and mental health issues will be high on the agenda at meeting of 180 Victorian students. Victoria is a year 12 Melton student. She is one of 15 student “executives” from around the state who helped lead the event hosted by the Victorian Student Representative Council at Melbourne University from July 6 to 8. The uni will host 180 secondary school students as they debate, decide and act on the issues that matter to them in all aspects of their education. The NDIS roll out in Maribyrnong in July 2018. To help prepare, the Maribyrnong City Council is holding 3 information sessions. Each one has a different focus. Sessions will be conducted by organisations accredited by the National Disability Insurance Agency (NDIA). All sessions will be at Maribyrnong City Council offices, corner Hyde and Napier Streets, Footscray. All sessions are free but bookings are essential - 9688 0313 or liz.wright@maribyrnong.vic.gov.au. The Department of Health & Human Services are hosting a Disability & Family Violence Forum on August 4th in Morwell. Workers and community members are invited to attend. Morning Tea will be provided. RSVP by July 28th - If you require any further information or if you would like to attend this event please contact 03 51362491 or 0439 915 209 / e: kellie.bertrand@dhhs.vic.gov.au. This Diverse Women Writers event is a low-cost professional development and networking day for diverse women writers, allies and industry will feature: Maxine Beneba Clarke, Jax-Jacki Brown, Fiona Tuomy, Jacinta di Mase (ALAA), Aviva Tuffield (Black Inc), Robert Watkins (Hachette) and more. The workshop organisers welcome trans women, genderqueer women, and non-binary people who identify as writers with disability, Aboriginal and Torres Strait Islander writers, writers of colour, LGBTI writers or those from diverse cultural backgrounds. See costs and details online. The Victorian Government is running consultations on a brand new Gender Equality Strategy for Victoria. This is an exciting chance to have gender AND disability represented in an important new state policy – this new policy can shape funding and programs into the future. You are invited to attend the consultations. A list of consultations follow. Consultations in North West and North East Victoria took place in July. Venue details will be confirmed upon RSVP to genderequality@dpc.vic.gov.au. When you RSVP please let the organisers know if you have any access requirements. Would you like to know a bit more about Gender Equality? Before going to a consultation, you might like to do some thinking and reading about Gender Equality, how it effects you individually and how it effects women with disabilities generally. 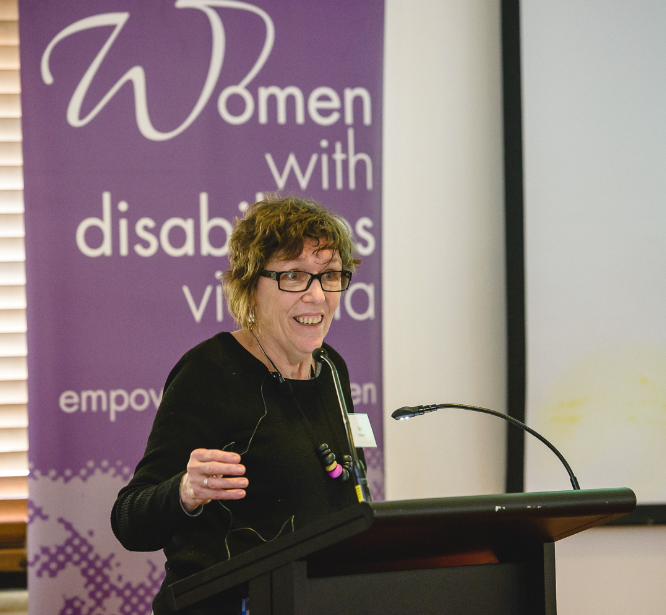 A fact sheet on women with disabilities is on the WDV website highlighting some of the important ways that gender and disability combine. The website also has fact sheets on other areas which are important to women with disabilities, safety from violence, access to health services and the NDIS. WDV’s submission to the Gender Equality consultations is available on our website. If you would like to chat about your ideas for the consultation, feel free to contact Jen, WDV’s Policy Officer. You can contact her at jen.hargrave@wdv.org.au, by phone on 9286 7800, or via Women with Disabilities Victoria’s Facebook page. 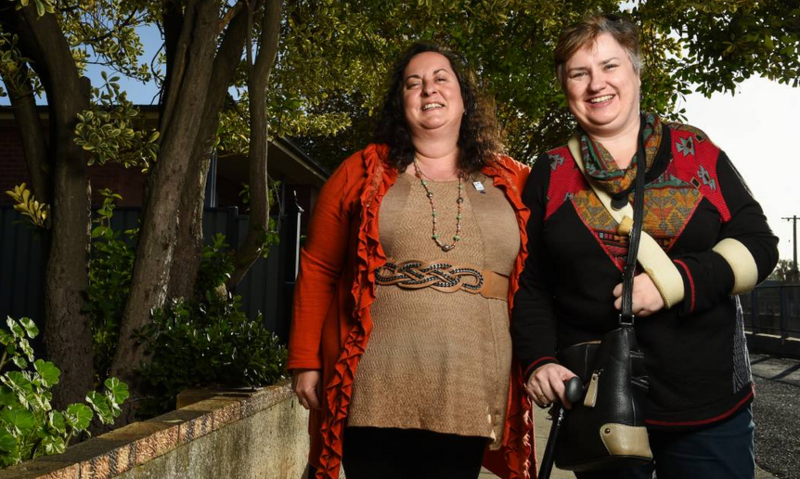 A consultation focus group of women with disabilities is being organised and will happen in Melbourne in August but there are not details confirmed as yet. For any enquiries about the consultations contact genderequality@dpc.vic.gov.au. Are you a young person with a disability who has experienced discrimination in public places - like on the street, in shops, on public transport, at events? Would you be interested in being interviewed by researchers about your experiences of discrimination in public places? *This research is for people who have finished high school but are aged under 29. We know that young adults experience interpersonal discrimination in these settings – from meanness to violence – but not much has been documented from the perspective of young Australians with disabilities. This research project, funded by the Australian Research Council and is being run by the University of Sydney and the University of Melbourne. - Alternatively, you can join our Facebook study page. IMAGE of two young women with arms outstretched to cover each others eyes. Image provided by the project researchers. Property Initiatives is Australia’s first full-service social enterprise real estate agency. Women’s Property Initiatives established us in March 2015 and the purpose of the real estate agency is to make a lot of money in our real estate business so that we can give it back to WPI so they can use that money to build homes for women and children at risk of homelessness. If you, or anyone you know has an investment property you can use Property Initiatives Real Estate to lease and manage your property. They say they offer customers the same property management and leasing services as other real estate agents. You keep your tenants and continue to charge market rate rent. At the same time, you are helping to create positive social impact in your community. Property Initiatives also offer a sales service where they partner with your local agent to ensure you get the local knowledge and expertise while still being able to contribute to a great cause. This item was written by Property Initiatives. One of the first accessible display homes for people with a disability will be built at Armstrong in Mount Duneed. The house has been designed to show people with disabilities, their families and carers how potential modifications and assistive technologies can improve their capacity to live as independently as possible. WDV member, Vildana Praljak, is an aerialist with the Women’s Circus in Victoria. She speaks with Vision Australia's 'Talking Vision' program. Vildana was encouraged to try circus skills by sighted colleague who could see no reason why vision impairment should be a barrier. Initially sceptical she eventually found a way to express herself creatively and describes the circus skills as one of the best avenues of her life. Hear the podcast (see Edition 329 for 20 July 2016).